The town of Walnut Hill has many shops and stores. One of those stores is called a Millinery Shop. Milliners make fancy hats for women. In the 1870s, everyone wore a hat when they went outside. 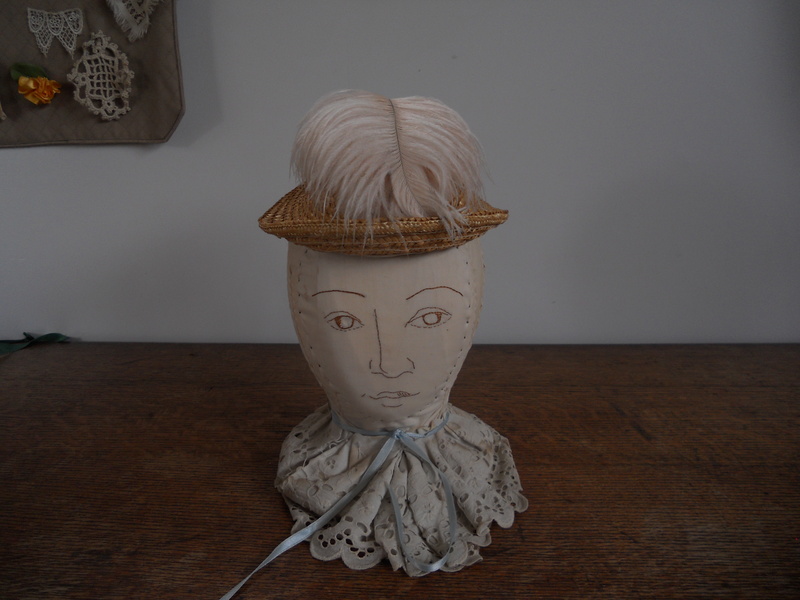 Men wore hats made of straw or felt. 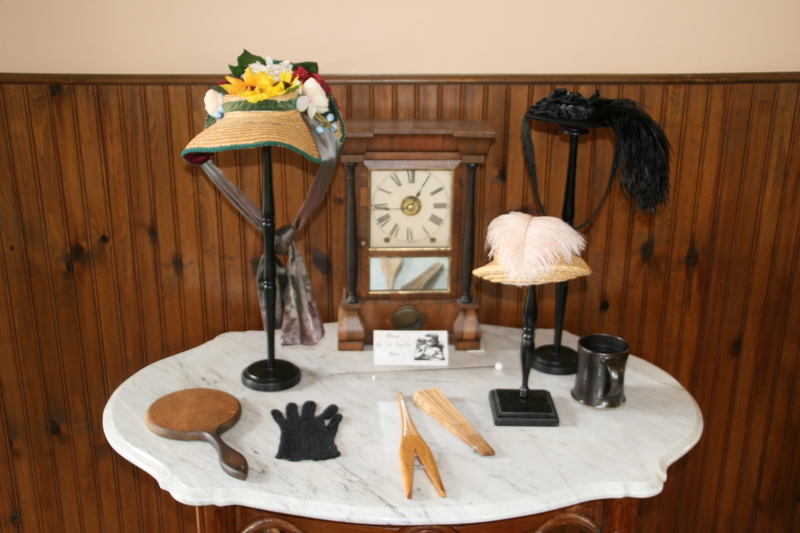 The General Store would sell men’s hats in a town like Walnut Hill. 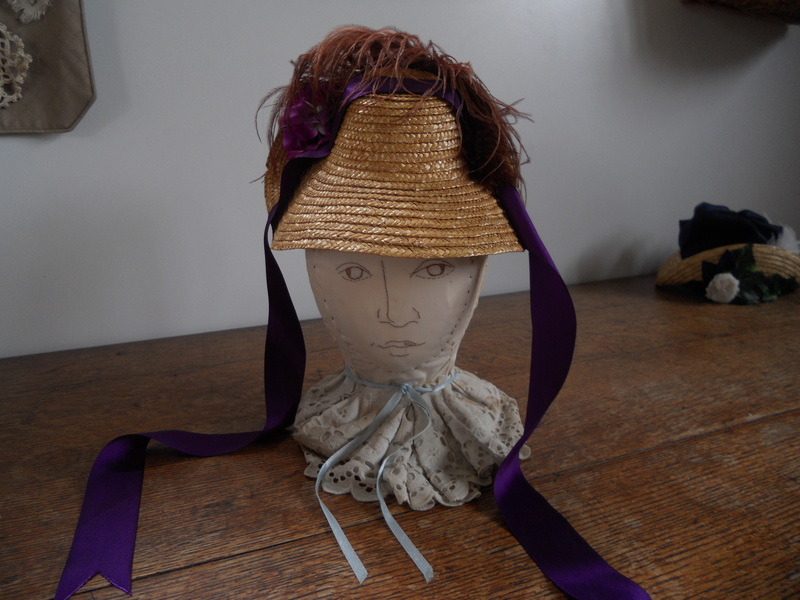 Ladies might wear sun bonnets or big straw hats when they worked in the garden to keep from being sun-burned. They might make their own sun bonnets at home or buy a wide straw hat at the General Store. 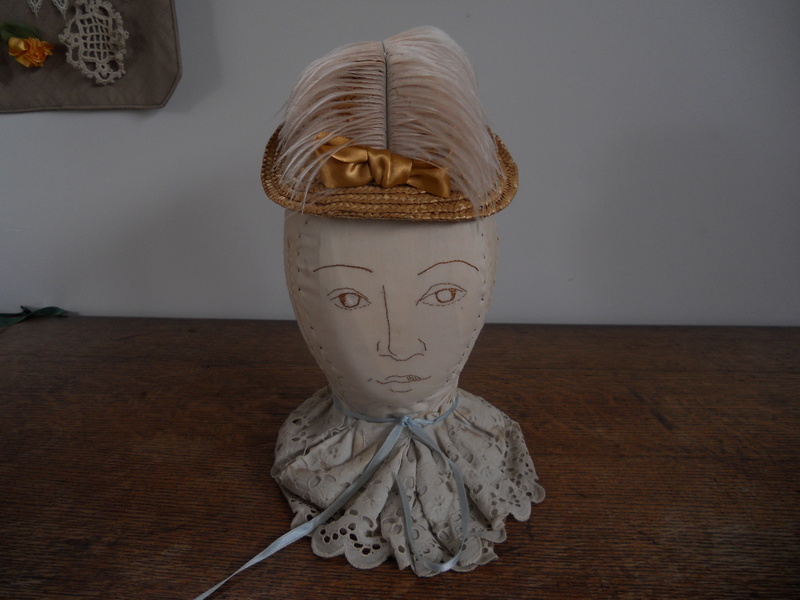 When a lady got dressed up to go into town, she wanted an especially fancy hat. A sunbonnet would not be special enough! 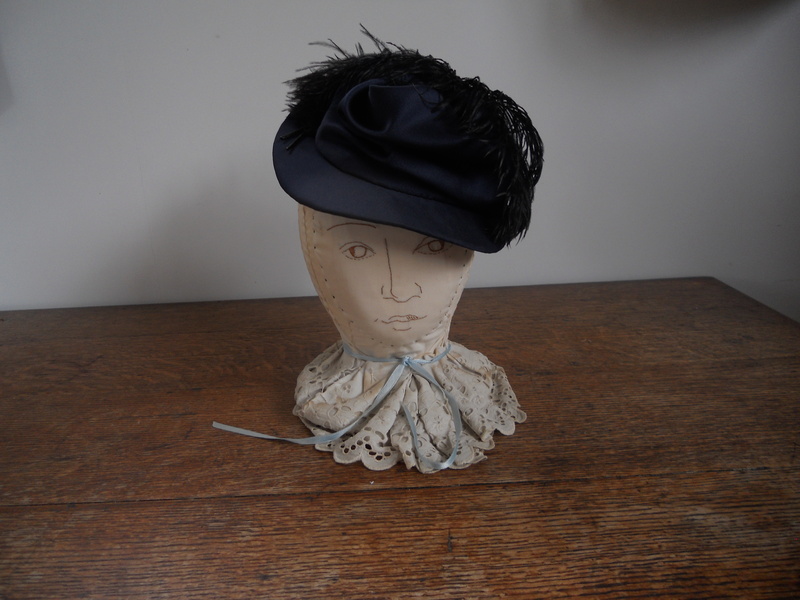 To buy a special hat, a lady could visit the Millinery and look at all the styles in the showroom and all the fancy ribbons and lace in the cases. 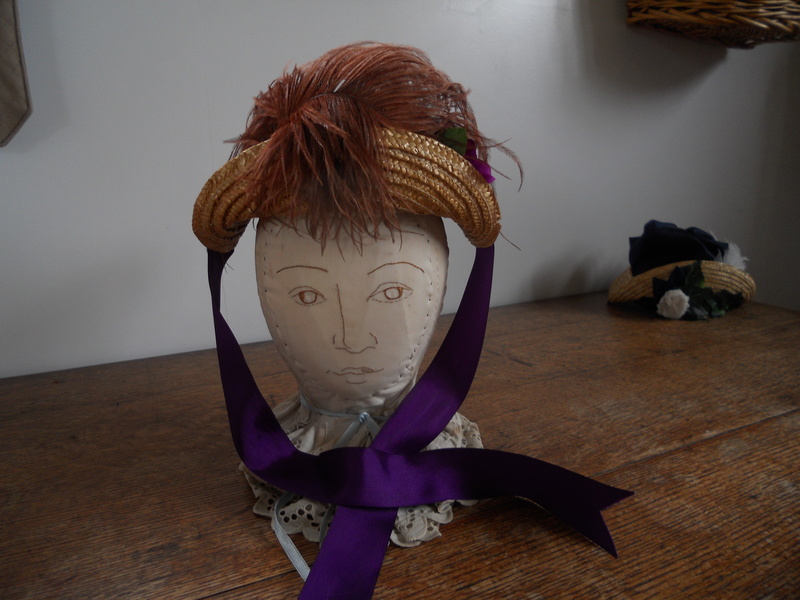 Then the Milliner would make a hat just for her! The hat trimmers in the Millinery Shop use many things to make their hats fancy and special. One of the most popular things to put on a hat is feathers! Sometimes they use smooth, shiny coque feathers, which are rooster tail feathers, or rooster wing feathers. These feathers can be black and shiny or white and spotted or tan and fluffy! It just depends on the rooster the feathers came from! Most of the time, our milliners love to use ostrich feathers on their hats, which are fluffy and swoop over the hat brims. They were very popular in the 1870s for hats, and they’re still pretty easy to buy today in many colors and sizes. Real ostriches are usually black and white. But the feathers were easy to dye in many different colors such as red and purple. The feathers are dyed after they come off the ostrich. Can you imagine if ostriches were actually found in these colors? Ostrich feathers nearly always need to be shaped or curled before they go on a hat, especially our little fashionable hats. The thick center part of the feather is called a quill or spine. It can be gently bent so the feather curves around the side or top of a hat. You can try bending paper or cardboard the same way. Try this by cutting a piece of cardboard about as wide as your fingertip. Bend a section, move up a bit, and bend it again—you might even make a spiral! The fluffy vanes of ostrich feathers can be curled as well, but if they get damp the curl may fall out, just the way it does with hair. Some hats only need one feather, but some get two or three or more, depending on what makes the hat look good. Ladies in the 1870s often wore their hat perched on the front of their head, so that their pretty hair would show in the back. The feathers and decorations could be so fancy that it can be hard to figure out which part of the hat is the front and which is the back! How do you think we should wear these hats? Which is the front and which is the back? Front? Or is this the front? How about this one? does the feather sweep forward or back from the face? Do you like it this way? Or this way? 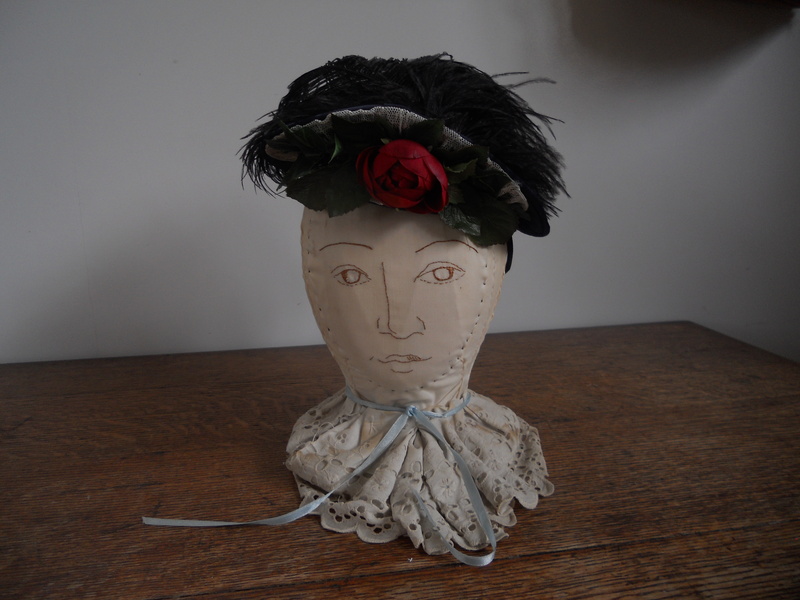 Visit our millinery shop this week and ask the milliner, herself! Tips for Caregivers: The Millinery shop does not allow guests to try on their hats because we see so many people! But, milliners would be delighted to talk with children about which hats would have been best for children and which color choices were best for 1875! 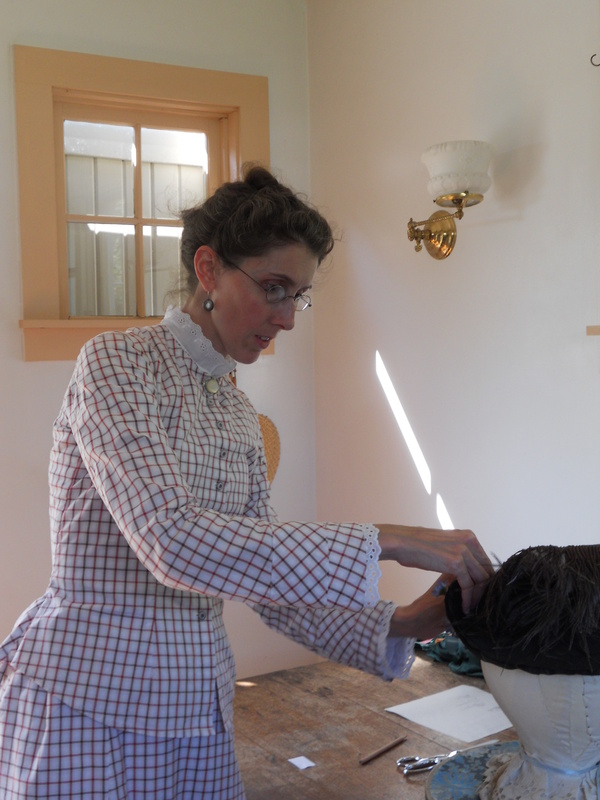 There is also a hands-on activity in the Millinery on Mondays from 10 am to Noon and on Saturdays from 1 pm to 3 pm! 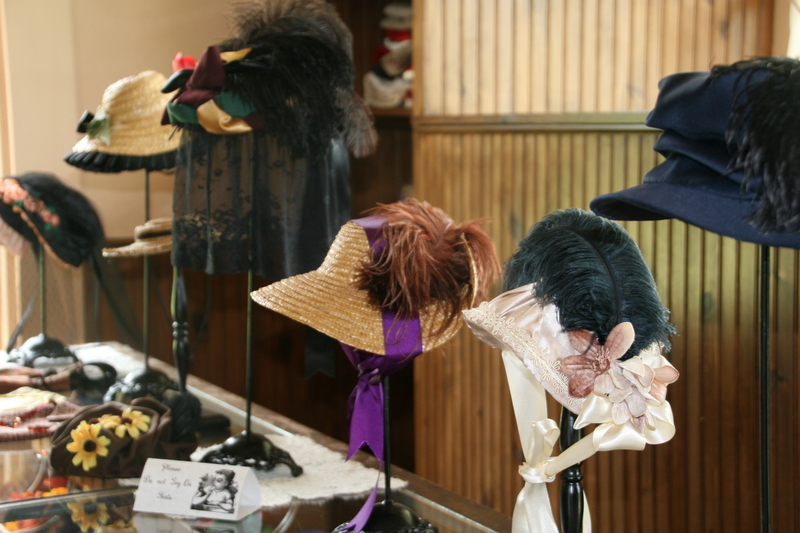 Stop in the shop then for an opportunity to help with millinery projects!